Wrestling fans might be familiar with the term “FTR” as it relates to WWE tag team The Revival. Whether that stands for “Forever The Revival” or something else entirely, they are taking steps to protect and monetize the phrase. Many fans noticed that on Monday’s Raw, Dash and Dawson had #FTR on their trunks during their lumberjack match against Raw Tag Team Champions Bobby Roode and Chad Gable. The Revival has had a friendly rivalry with The Elite going back to 2017. The Revival and The Young Bucks have taken some jabs at each other, which was the genesis of #FTR (“F” The Revival). 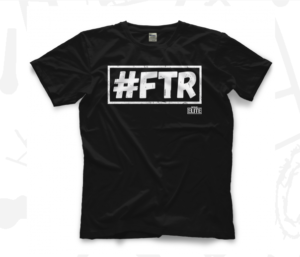 The Elite even sells an #FTR shirt at Pro Wrestling Tees, which might become a collectors item sooner or later based on the trademark filing. As for what they declared the hashtag stood for, TR=the Revival but there has been some debate over what the F stands for. There's a new team in town.